Late last month, Sue Thexton, senior vice president for Brightcove EMEA, and I gathered with sound engineers, composers, editors, writers and TV personalities to honour the amazing British talent that works behind the scenes of some of TV's most exciting programmes. Hosted by Steve Mangan, star of Channel 4's Green Wing and the BBC comedy Episodes, the star-studded event was attended by the likes of Russell Tovey, Meera Syal, Jessica Hynes, Blake Harrison, Antonia Thomas, Grace Dent, Dawn O'Porter, Anne Reid and Julian Rhind-Tutt. Long-standing partners of British Academy of Film and Television (BAFTA), Brightcove sponsored the Digital Creativity category, which saw the production teams behind Channel 4 Paralympics, The Great British Property Scandal, Embarrassing Bodies: Live from the Clinic and Foxes Live: Wild in the City all compete for the gold mask statuette. Presented by British journalist and author Grace Dent, these projects have all taken the traditional viewing experience and flipped it on its head, introducing new ways of interacting with the audience, all while making aiming to create a positive impact on society. In the end, it was Channel 4 Paralympics that came out trumps in this highly competitive category, taking home the coveted award for its coverage of the global event. From live streams to smartphone apps, Channel 4 brought the Paralympic Games to life and made sure audiences paid as much attention to it as the Olympic games. Steve Boulton, creative director at Deltare, and Channel 4's multiplatform commissioning editor James Rutherford accepted the award, praising the industry and the Television Craft awards by saying "this where talent truly lies" (see the full speech here). 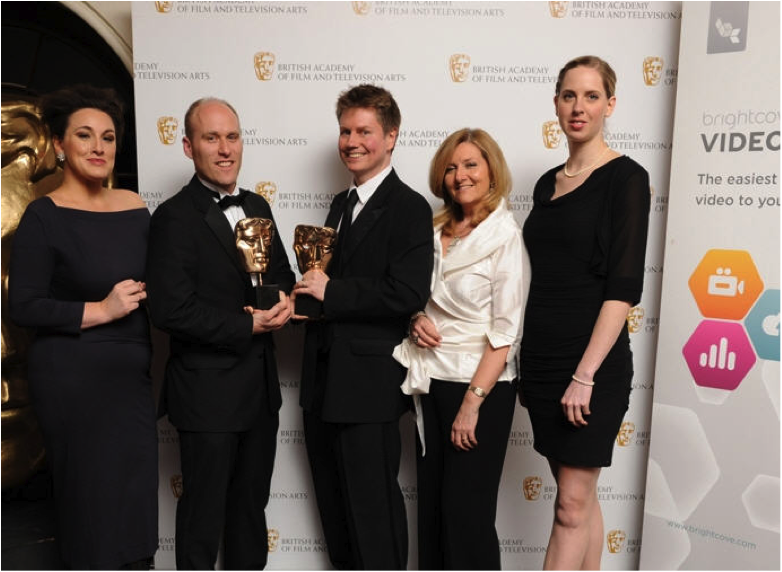 Sue Thexton (pictured with the winners above) speaking afterwards about the importance of this category and the awards, said: "Digital innovation and creativity has and will continue to change the way in which we watch and interact with television in the future. Everyone in this category pushed the boundaries of digital content and brought a global event or social issue to an even bigger stage. The Television Craft Awards are an important opportunity to recognise and reward the stars of this industry for the outstanding skills and expertise that they bring to making fantastic television." The nominees and winners in the Digital Creativity category are only a small representation of the amazing work that's happening behind the scenes every day. With the innovations that many broadcasters, and digital vendors like ourselves, are spending time on, we will no doubt see continued advances in trends such as connected TV apps and second screen interactions changing the way we find and watch content.